Today I'll talk about world spawns and how they have (d)evolved in the years in FFXI. I apologize that I can not make a really in-depth explanation about the system due to my lack of experience in this area of the endgame, but I'll still explain the basics. 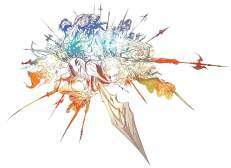 Like before, after looking at the different stages the world spawns have gone through we can predict in what way this particular system will be presented in FFXIV, and how big part it could play in endgame structure. challenging for level 55 players, as the level cap was raised up to 75 the monsters got significantly easier. They popped in a small area, and 21-24h after being killed. They dropped decent equipment for their level range and synthesis materials, that are still quite good for the level range. A while after that came the 3 'King' HNM's, called Behemoth, Fafnir and Adamantoise. They popped in a similar way as the other lesser HNM's, in a small area every 21-24h after being killed. One of these 3 monsters would prove to be unexpectedly popular among players, especially Warriors, but more on that in a bit. 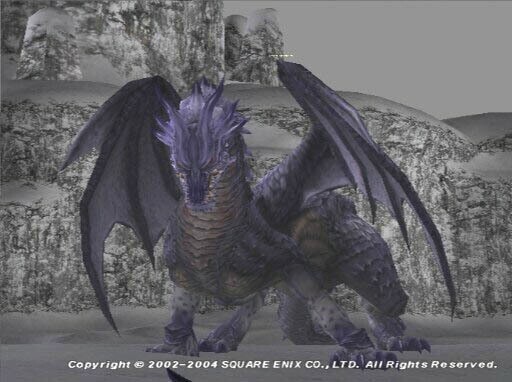 When the level cap was set to 75, SE expanded the 'Kings' system to include a High quality version of the same type of monster. Thus were born the King Behemoth, Nidhogg and Aspidochelone. They would have a chance to pop after 3 days had passed from their last kill. It could take up to 11 days for them to appear again, though. When a HQ version pops, no Normal quality version of the monster will pop that day. These HQ versions would drop the best equipment for some jobs in the game at the time when they were implemented. This created problems SE couldn't predict. The equipment couldn't be traded, so you had to get the claim on the monster to be able to even get a chance at obtaining these popular pieces. in a single day. Many players still refer to this experience when talking about FFXI endgame, and how they hated it; for a good reason, too. Moving on to the next monsters in the serie, the 3 wyrms released in the second expansion: Jormungand, Tiamat, and Vrtra. It took quite long time from players to down these three dragons, they're no joke if you're not prepared. Vrtra especially is difficult, because the room she resides in has several undead monsters in it. Vrtra itself also summons undead at quite the fast rate, so there must be one team killing the undead as fast as possible while other team faces the wyrm itself. If you can't keep up with the spawns or people start dying, the wipe is almost inevitable. The undead like to spam different Area of effect abilities which makes things difficult to handle, since with many melees taking them down there'll be a lot of AoE damage taken, too. especially after they became easier for groups to kill. These days many linkshells even complain that they're a bit too easy, and that an incompetent linkshell can still kill them with relative ease, making competition even fiercer than before. No major improvements happened when SE implemented the HNM's of the third expansion either. Rewards for killing the Cerberus, Hydra and Khimaira were mostly worse than before though- SE might have realized that the system as it is can't allow for 'too good' loot to drop- botting and camping might get out of hand otherwise. Other than for few decent weapons these monsters and the 3 'extra' beastmen HNM's only really offer a fun fight you can do if your linkshell has enough competent players. They weren't as difficult as the wyrms were at the time of their implementation, either. Respawn time was changed from 24-72h to 48-72h, but that hasn't really helped in solving the overcrowdedness issue. The HNM's still pop in a small area. In the fourth and most recent expansion Square decided to take a different approach however.  Currently 2 HNM's (out of 3) have been implemented to the expansion areas, and the system has been improved in several ways. For one, the monsters no longer pop in a small area, but can pop almost anywhere in the expansion areas. 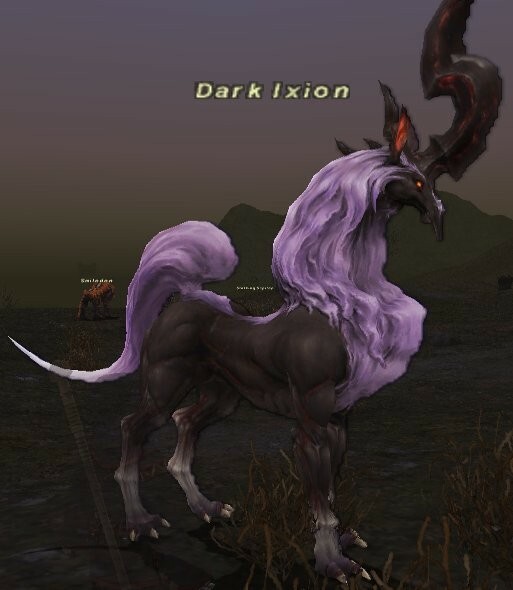 To claim one of the HNM's, Dark Ixion, player has to throw a special ash at it that, when hit, will claim the monster to him and his group. This is necessary to prevent botting (the ash has to actually hit the monster, missing doesn't count). The other HNM, Sandworm, works differently than the other released HNM's as well: it will use a skill called 'Doomvoid' which teleports the players to an instanced area with another monster inside, and the Sandworm itself doesn't drop anything of value. Three of these 4 possible monsters you can encounter are the same as the ones implemented in the first expansion and when the level cap was still 55. Unlike their normal world counterparts these HNM's are a lot tougher and thus drop extra loot along with their normal drops. They have some special characteristics as well. Guivre, a wyvern, runs away from the battle after every 10% of damage has been dealt to it. King Arhtro, a crab, summons helpers that cure it by casting Water spells on the King. A high quality version of Sandworm can also pop instead of the 3 normal HNM's. In an instanced area the group doesn't have to worry about other groups 'stealing' the HNM if they happen to wipe to it. work rather than the HNM's before them. As long as the dev team doesn't go back to their old ways that is, but the chance of that happening should be next to none fortunately! Next time I'll talk about FFXI's answer to 'instances' or 'raids' in endgame, which happens to be my favorite part of the many endgame system SE has created in FFXI. I'll be able to make a more in-depth explanation about it, too, so look forward to it!